The nominees for the 2010 RAMMY Awards, given by the Restaurant Association Metropolitan Washington, have been released and one of the nominees for Best Pastry Chef is Amanda Cook at CityZen, one of the restaurants at the Mandarin Oriental Hotel. 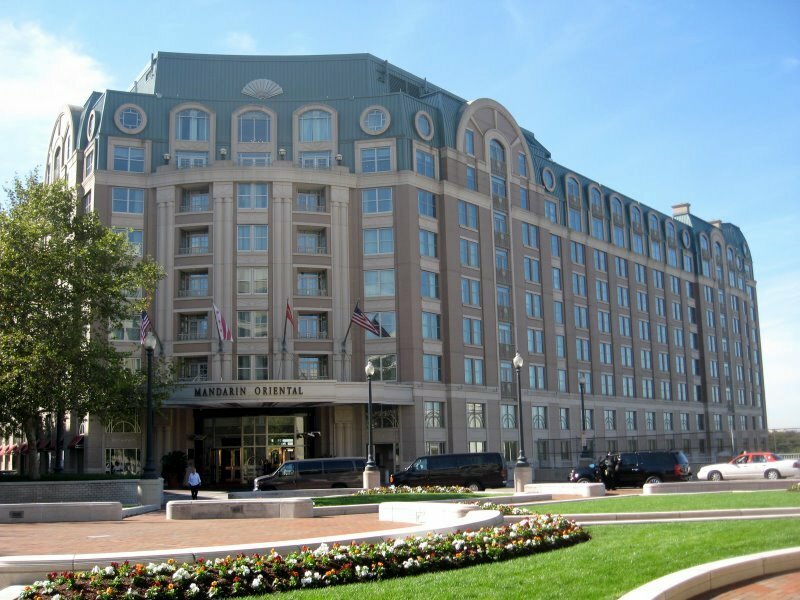 This year's RAMMY's will take place on June 6th at the Marriott Wardman Park Hotel in Northwest. Another restaurant at the hotel - Sou'Wester, which has been open for about six months, was reviewed in March's Hill Rag in a piece called Sou'Wester Sparkles in Southwest. I have yet to visit this restaurant since I don't eat out very much for dinner, but I'm adding it to my list. Have any of you eaten at Sou'Wester? How is the food? I went to Sou'Wester for Restaurant Week. Food is pretty good; it's worth visiting at least once. I'm not one for fancy restaurants, though, so I haven't made it back there yet. I have gone once and wouldn't go again. The prices are staggering for food you can get at Denny's (fried chicken and cole slaw in a basket, no less), and the service is very polite but very inefficient. I also found the decor unappealing. I'm glad the hotel tried this more casual, comfort food approach, but I think it is the wrong "fit" with this brand. I went to Sou'wester for my birthday shortly after it opened and really enjoyed it -- I had a lovely rabbit dish. It's not Denny's food by any means -- it's French meets Southern and, I think, very well executed (except for the fried okra, which I think they do wrong). Lovely service, and the sommelier is a SW resident. Also, they have happy hours 7 days a week if people just want to try it without doing the whole dinner thing. I have been to Sou'Wester a few times now and really like it. It is the perfect place for good comfort food when you don't want to cook at home, and don't want to spend a lot of money someplace "fancy". There is nothing Denny's about it. It's their version of Fried Chicken. I asked the host and he said they use a farm raised chicken. It is so flavorful and delicious.